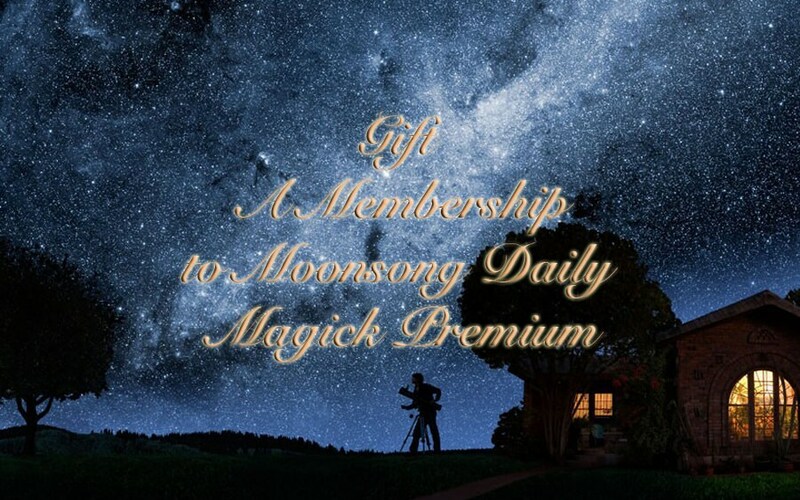 Give the Gift Of Moonsong Daily Magick! - Important days for Wiccans such as Sabbats. A special inspirational quote and corresponding amazing image for you to meditate on you is chosen each day for you. Affirmations are important. An affirmation and a beautiful image is chosen for you to work with each day. You can work with a new one each day, or save them and choose one to use several days at a time. A card pulled from one of my decks with divine guidance. See what they want you to know! A special spell selected each day for you to work with. Choose to work a new spell each day or add it to your Book of Shadows for future use. Empaths and Highly Sensitives: My specialty is empaths and highly sensitives. Articles will cover how to control and develop your special gift. Intuition: Articles discuss types of intuition, how to work with intuition, and how to develop your gift. Spirit Guides: Learn to work with your spirit guides, topics include types of spirit guides, spirit animals, angels and deities. Divination: We will look at different types of divination found around the world. We will also look at tarot and work with specific layouts and cards. Crystals and Gemstones: Working with Crystals and Gemstones can empower you in your practice. We will discover different types of gemstones and how to work with them. Herbs - One of the oldest methods of healing. Learn about specific herbs and their uses. Healing - Learn different methods of healing as well as ways to heal yourself. Magick and Mysticism - Who doesn't love a little extra magick? Topics in this category will explore magick and how to work with it.